Edit: there's no telling how the title will be translated if it makes it into English. What if the next Pope were Russian? Would the consecration of Russia to the Immaculate Heart of Mary be made possible by the Mother of God in Fatima 100 years ago as an essential step on the road to world peace? 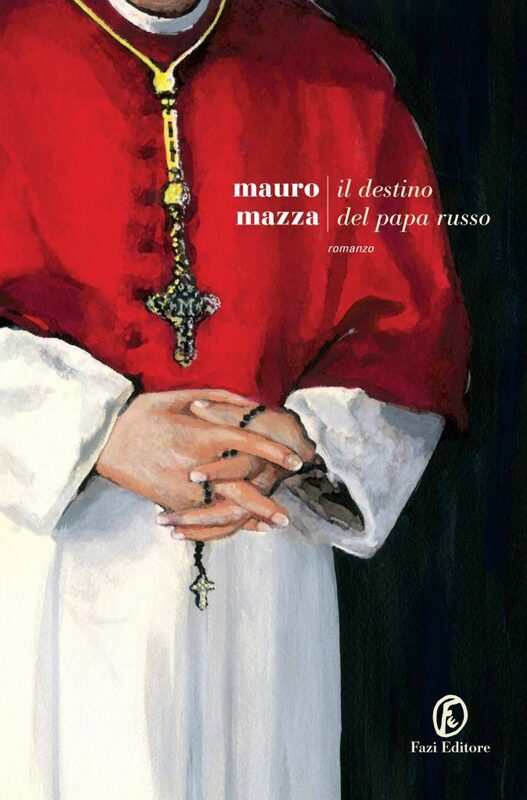 In his novel The Fate of the Russian Pope published last year , the author, Mauro Mazza, assumes the optimistic acceptance of a conclave in 2018. In this concave, the author, the archbishop of Saint Petersburg is elected to the pope completely unexpectedly, and is assigned the name Methodius. To avoid a misunderstanding, this is not the bishop of the diocese of Saint Petersburg in the USA, which is clearly geographically assignable in its Latin name Sancti Petri in Florida. This is actually the city founded by Tsar Peter the Great in Swedish Ingria in the Bay of Kronstadt, where the Neva River flows into the Gulf of Finland. This Saint Petersburg was the capital of Russia from 1710-1918 and today is the second largest city in the country, with five million inhabitants. The novel is, of course, fiction, for an archbishopric of St. Petersburg of the Catholic Church does not exist and has never existed. Since 2013 there is a Russian Orthodox Archdiocese of this name. The city itself has been the see of a Russian Orthodox Bishop since 1742. The author's name is no pseudonym. Mauro Mazza, born in 1955, is one of Italy's best-known journalists. After the passing university entrance examination in the "hot" seventies, he made his first journalistic forays with the daily newspaper Secolo d'Italia, the party newspaper of the then Neo-Fascist party MSI. He remained connected to the party, which in the early nineties, after the collapse of the Communist Eastern bloc, went through a transformation to the bourgeois-conservative party. The way to the professional journalist opened him the early change to the news agency AdnKronos. In 1990 he became a news editor for the RAI Public Service, 1998 Deputy Editor-in-Chief of the RAI 1 newsreader, 2002 editor-in-chief of the RAI 2 editorial. In 2008, Mazza finally became director of RAI 1. With the return of a Leftist government, he was pushed off to be the director of RAI Sport. In the same year he published his first novel. Since 2015 he has been a member of RAI Vatican's editorship, which is the subject of his latest novel. 118 Cardinals gathered in the Sistine Chapel after the death of the Pope to elect a successor. But days pass by, days pass, and black smoke is rising. After three weeks of stagnation, the quarreling Cardinals agreed on a quite unusual decision. They do not elect a cardinal to the pope, but Nikolai Sofanov, the Archbishop of Saint Petersburg. The decision is most striking: a Pope from Orthodox Russia and a friend of Russia's President Vladimir Putin. The acting characters in the novel are, in part, the real (Patriarch Cyril, Putin, Gorbachev, Hans Küng), partly inventions of the author. 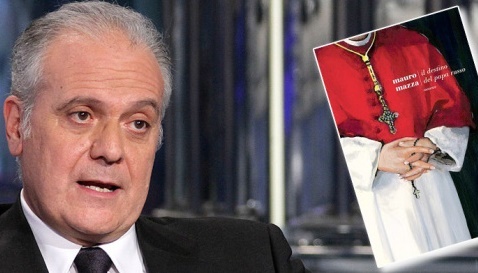 In contrast to his predecessor, the new pope does not like the powerful and freemasonry. He is displeasing to them even more because he speaks specifically of the defense of faith rather than of ecology and, above all, of that sentimentality which, "through hugs and skits, between Buona Domenica ( Beautiful Sunday) and "Buon Pranzo" (To your health) is the difference between the pope and the faithful. "Pope Wojtyla" always managed to preserve his charism, which demanded all respect and admiration: cardinals, bishops, priests and laity." (p. 40). "The pope daily demolishes many of the so-called inviolable assumptions of prevailing thought. He makes it easy. He finds greater and greater approval among the people, but he also attracts an ever-widening dislike" (145). "He is trying to revive the sacredness of past times. In his sermons he contradicts secular (laicistic) values ​​and the rights obtained. And as if that were not enough, he stressed traditional reservations about democracy. Very soon his course of action will turn out to be destabilizing."(147). The fight against globalization, the gender dictatorship, the surrender against Islamism and the compulsion to ecologism "as a new religion, in which man is no longer the head of the pyramid of creation, but a living person of the planet with the same rights of other 'animals' (108). "The British are doing what the Americans order. The Germans and the Italians are irresolute and fickle "(134). "The world government, the united world currency (called Bancor), and the world unity religion that unites and overcomes all religions" (120). "Even some bishops, whether from superficiality or conviction, can imagine that catholicity will in the future mix and equate with other religions or their absurd parodies" (108). The novel begins with an optimistic perspective, then quickly and ever deeper into the sober reality. Thus he unfolds concrete scenarios, which draw a gloomy picture. The secret "fraternity" engages in numerous actions to discredit the new pope. "It is not just a fascinating story, but a no less exciting 'game', that will enable readers to figure out who is behind the fictionalized names the author has chosen for his novel. This is also the only fun the novel offers, because the rest is the tragic image of a world in which the obscure 'brotherhood' dictates the rules," says Corrispondenza Romana . It would be desirable if a publisher brought out a translation for the readership of the English-speaking people. As an expression of our time, Mazza's work is not only a timely document, but also provides some illuminating insights, dressed in the genre of the utopian novel. Mauro Mazza, Il destino del Papa Russo (Fate of the Russian Pope), Fazi, Rome 2016, 256 pages. (Moscow) Magadan is a city in Russia, which was established as the administrative center for the Soviet Gulag system. The Catholic Chaplain Father Michael Shields works there. Magadan is a synonym for death to Russians. 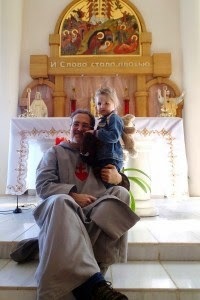 Today, however, in the Russian city of nearly 100,000 inhabitants, there is life, because Father Michael is defeating abortion. "Our program here is great, which I am always reminded of when I see these children laugh and play,” says the priest of the Order of the Little Brothers of Jesus (IPFI). Every year hundreds of thousands of children do not see the light of day because they are killed in the womb. This is the brutal legacy of Communism, still overhangs Russia more than 20 years after its collapse. In 1920 the Communist Soviet Empire was the first country in the world that allowed the child murder. It was the first country in the world, which regarded murder as "liberation" and the killing of innocent children is portrayed as "humane" act for "progress." For every 10 children born, 13 children are killed. For the Communists, a life was worth nothing, abortion has been used as a means of birth control. Abortion as a macabre "contraceptive". Through the efforts of democratic governments to counteract it, the ratio has improved in recent years. The rapid demographic collapse of Russia was halted in 2010. However, the number of children killed is immense with almost one million. Magadan is a port town in the far east of Russia. The city on the Sea of ​​Okhotsk was a military district until 1991. The average temperature here even in summer reaches about 15 ° Celsius. But in winter it sinks to minus 25 degrees. The living conditions are tough, so the Soviets built a warehouse and administrative center right here for the concentration camp. Here, many Christians have suffered and many were killed. Here today Father Michael Shields is pastor. The Catholic parish church is dedicated to the birth of Jesus. 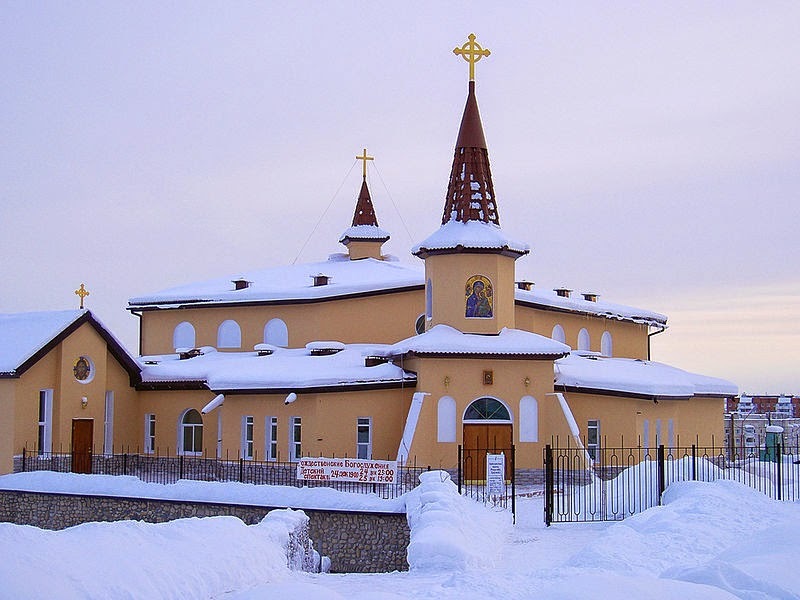 The Church of the Nativity is a center of life for Magadan. Father Michael belongs to the order of the Little Brothers of Jesus, which was also founded in 1933 in an inhospitable location on the model of St. Charles de Foucauld in the Sahara desert in Algeria. In 1994, Father Michael left Alaska to go to Russia. "The cold I already knew." He already knew then though of the many broken and killed human lives, the genocide of his own people, that had been done by Communism. "But first I have understood here the true extent of this tragedy," he says today. Almost every woman over 30 years had already had an abortion. Some women even ten or fifteen times. For the Catholic religious order, the lack of respect for human life is the direct result of an ideology that denies human dignity. Magadan was a concentration camp in 1929 and from 1932 to 1954 an administrative center of the largest concentration camp complex the world has ever seen. In the Gulag, several million people have died and a very large numb have been locked away: "therefore stands Magadan means death in Russia." Step by step, it is Father Michael who managed to replace the non-culture of death by a culture of life and to convince the women to share their pain and guilt about the children killed, with God. This resulted in Rachel's Vineyard, where annual retreats take place. Quite a few women light candles before the icon of Our Lady of Perpetual Help for their "unborn" children. "One in five women have been here and have lit 47 candles," said Father Michael. The Catholic charity Aid to the Church in Need offers support to all the girls and women, all mothers, moral, spiritual and economic assistance in parish. Father Michael has tried quite specifically to help with clothing, food, drugs with his parish. "There are not a few women who can be tempted from economic hardships to abortion. We are trying to raise the consciousness that a human life, even of this small, unborn, but already existing child, is sacred and inviolable from conception until natural death,” said Father Michael. "In Magadan to have a child, sometimes means the loss of everything. Some mothers don’t even literally have a roof over their head. "There are about fifteen women, mostly young girls who are currently supported each month by Father Michael. "For the unborn child, we give where necessary, up to three years of financial aid. 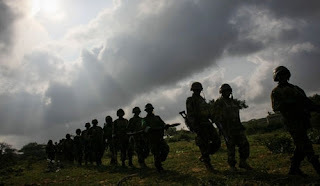 But anyone, whoever comes, receives support from us,” said the Catholic religious. "We have so far rescued 65 children, of whom we know for sure. We have accepted many newborns and infants because they had health problems. And we have helped many mothers to build a life. Our program here is great, which is always newly present to me when I see these kids play and laugh. I love them all." "The More People Who Love God and Glorify Him, the More Graces He Bestows"
The parish also has a small apartment in which to live for a shorter or longer period of time for giving birth and new mothers. There are several doctors around who know the American priest in the meantime, to help him in his apostolate of life by treating mothers and children for free. Father Michael recommends that all pregnant women come as soon as possible to receive an ultrasound. "To see the child, and no matter how small it is, makes it a reality. And to hear his heart beat, creates a very strong bond, which immediately awakens the maternal instinct. Or a simple gesture, like shopping for baby dresses can help to understand that here there already grows a new life, an independent life, a new man with his face, his eyes, his mouth and his smile. And that it is her child, the child of that woman. Many of them have never even had a mother figure at her side, which is indispensable in order to learn to be a mother. " Through the efforts of the Church and of Father Michael Magadan is being transformed from a place of death into a place of life. "I believe this is because the number of believers is growing. The more people believe and glorify God, the greater the love of life and the more grace is to be offered. Because God is love and life. " Kyrill I: In the “difficult situation”, in which western Christianity today finds itself, the Pope “courageously” defends the positions and moral values of his church. Moscow(kath.net/KNA) The Head of the Russian Orthodox Church, Patriarch Kyrill I, has recently found words of praise for Pope Benedict XVI.. In the “difficult situation” in which western Christianity finds itself, the Pope has defended “courageously” the positions and moral values of his church said Kyrill II according to church reports of Sunday evening during a meeting with the new Russian Ambassador to the Holy See, Alexander Awdrejew. Without these positions the Church would not be able to endure any longer and be transformed into a “mixture of various Christian organizations”. The Patriarch stresses at the same time the stand points of the Russian Orthodox and the Catholic Church agree in the “most significant questions of the past”. Both churches should continue to work together, so that the Christian message as much in the East as also in the West will be convincingly preached. Kremlin Chief, Vladimir Putin had named the former Russian Culture Minister Awdejew as Ambassador of to the Holy See in January. Since the election of Benedict XVI., the diplomatic and ecumenical relations between the Russian Orthodox and Catholic Church have been remarkably improved. According to the political change of 1989, the Moscow Patriarchate reproached Rome for building of Catholic church structures in the states of the earlier Soviet Union, to serve to proselytize their faithful. The Patriarchate consider the Federation States as the canonical territory of Orthodoxy. Moscow, February 12, Interfax - Outgoing Pope Benedict XVI "has been able to strengthen the Catholic Church and improve relations with" the Russian Orthodox Church, a Russian religious scholar said. "His decision to resign deserves respect. He has been a powerful leader, and would be able to continue his mission successfully if it weren't for his age," Roman Silantyev told Interfax-Religion. Benedict took charge of what was "a church that had been seriously weakend by his predecessor," Silantyev said. "John Paul II wanted to be liked by everyone, and as a result he did huge harm to the Catholics, turning millions of people away from his Church. His tenure saw mass-scale closures or conversions of Catholic Churches in Europe. Seminaries with histories spanning many centuries lost their students, and orphanages in Third World countries became the main source of new clergy," the scholar said. During Benedict's tenure, "the useless 'thrust toward the East' [alleged proselytism by Uniates], which was taking up huge resources, has come to an end, there has been an improvement in relations with the Russian Orthodox Church, which has proved to be the Vatican's main ally in asserting the Christian way of life in the European Union," Silantyev said. Benedict "hasn't had the idee fixe of coming to Moscow because he has repeatedly met with the incumbent Patriarch of Moscow and all Russia anyway," he said. "It appears to be most likely that an Italian cardinal will be elected to this post," Silantyev said. [Novite] Relics of 13 saints including those of 13th century Russian national hero Knyaz Alexander Nevsky have been stolen from a church in St Petersburg a law enforcement source reported on Wednesday. An employee of St Catherine the Martyr Church on Vasilyevsky Island reported the theft to police on Tuesday RIA Novosti reported. 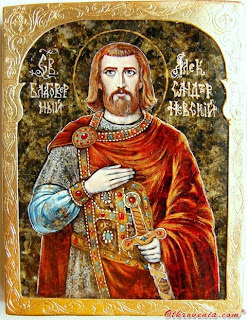 On Monday night the perpetrators entered the church through a window on the first floor and went to the office of the rector where they stole relics of 13 saints including those of St Alexander Nevsky. They also stole a communion cup of white metal with the image of saints and five baptismal crosses of yellow and white metal the source said The Russian police have opened a criminal case into the theft. The relics of St Alexander Nevsky the 13th century Russian knyaz who defended Eastern Orthodox Christianity against the Catholic Teutonic Knights were supposed to arrive in Bulgaria on Wednesday for veneration by believers at the cathedral in Varna. On Tuesday however a day before the theft is reported publicly the Varna Bishopric of the Bulgarian Orthodox Church said the display of the St Alexander Nevsky relics had been put off for November. White Sea. Solovetskie islands ( Solovki ). Golgofa-hill. Imprisoned priests wrote the Central Committee of the Communist Party in 1930 -- Jesuit found document in the archive of the Papal Oriental Institute. Rome (kath.net/KAP) A till now unknown document about the persecution of the Church in the Soviet Union during the Second World War was recently discovered in the archive of the Papal Oriental Institute in Rome. The periodical "Pro Oriente" reported this on Saturday, which appeared in an article by "Osservatore Romano" (Friday Edition). The uncovered Russian language document was by a Polish Priest Eugeniusz Senko, who was a researcher from 1917 for years in the Papal Oriental Institute, about the Communist Church persecution. The document dealt with information resulting from a letter of protest by a Catholic Priest Adolf Filipp to the Central Committee of the Party, dated from 29 June 1930. Filipp was incarcerated with 31 other priests on the island of Anzerskij -- a Solovki Island. How the document came to Rome, may not be reconstructed, it is said. Before the October Revolution, one of the largest Orthodox monastic cities was located on the Solovki islands. Following the Bolshevik seizure of power it was used for holding, and then established as a work camp for political prisoners, above all, Christians of all confessions. The camp on the Solovki islands formed the foundation of the so-called "Gulag". 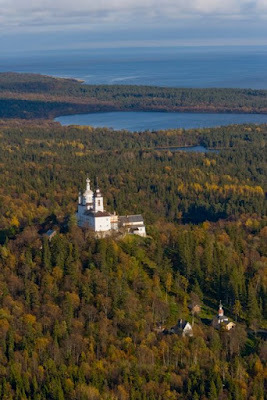 On the island Anzerskij, on which the Catholic priests were imprisoned, a dungeon was constructed in the consecrated Church of the Trinity. Adolf Filipp's letter of protest was, according to information by P. Senkos, clearly written by hand originally and then typed on a machine -- the errors in writing the names of the priests incarcerated with Filipp were explained, it said in the broadcast. The priest described "illegal methods" of the " "Gossudarstwennoje Polititscheskoje Uprawlenije" (GPU), the former Secret Service of the Soviet Union. These were said to have made constant infringements against the codes of the Soviet Constitution regarding freedom of conscience. Filipp stressed that the incarcerated priests, in view of the "enormity of the constitutional infringements" by the GPU could not remain silent any longer, because even such silence could be constituted as a "crime". The priest also described the unbearable conditions in the camp. He wrote, describing information about the Communist Party promoted campaign of atheism, for example, the mass closing of churches, extreme taxation of churches and their members, as well as the imprisonment and deportation of clergy and their followers and the oppressive activities ascribed to the organizations founded by J.M. Jaroslawksij or "Societies of Godless Militants". P Senko published the protest letter in the Italian language which included footnotes, to make the background more clear. Till now it is not known if the letter of protest actual reached the Central Committee and what consequences the letter of complaint against State Atheism and the activities of the GPU had for the author, it read. Edit: Russia continues to defy expectations. Most westerners have a serious problem with associating religion with militarism, this isn't the case with the virile Russian state. Here's a brief history of St. Alexander Nevsky for whom this amazing weapon is named. While the neo-conservative Polish Bishops lead the country slowly into the abyss, the apostolate of the SSPX blooms in the land. (kreuz.net) The apostlate of the Society of St. Pius X is growing "surprisingly fast" even for the conditions of the Society. This was written by the District Superior for East Europe, Fr. Karl Stehlin in his Christmas letter. The Society can only devote twelve priests in eastern Europe. Actually, the present pastoral work would require thirty priests -- so says Father Stehlin. In Warsaw the Fathers will be shortly leading a third old Mass on Sunday. Every week there are about four hundred Catholics who appear for Mass -- doubled the number as there were two years ago. According to Father Stehlin the reason for the growth are Society's new schools. They are attracting young families. At the Pius elementary school sixty children are being instructed and the Gymnasium [high school] there are 46. The student population has jumped a third in comparison to last year. That's why the Society is presently planning to increase the size of its Gymnasium. The new construction will accommodate the separation of the boys and girls so that the instruction can be tailored to the respective genders. The brickwork of the new school was recently completed. There are nine Society priests active in Poland. For the Ascension the Society is establishing its fourth priorate in the country in the Pomeranian village of Baersee (Bajerze) -- not fare from the city of Kulm. From these bases the Society can serve more chapels. A new chapel opened recently in October in the city of Posen [Pzchyzchńyzyń]. A hundred Catholics came to the opening of this chapel. In many locales these chapels are bursting at the seems and the Society is collecting donations for the construction of proper churches. 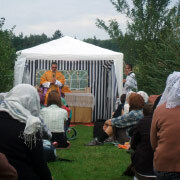 In Lithuania three priests are in a priory. From there, they serve the faithful in White Russia and Russia. The chapels there are still very small. In Estonia the Society is planning the building of a church. At the present there are problems with a building permit. "We're dreaming, that after his conversion he will open a Catholic school for Estonia." In Latvia, a certain Father Valerius, about whom Father Stehlin has no further information, is taking care of the construction of a church and a rectory. In all of the Baltic countries, many conversions of from Protestantism are being made. 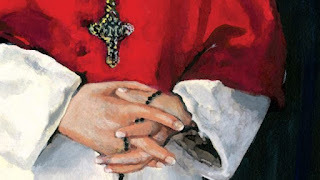 The Society have to scrimp and scrape because of the shortage of priests and resources. The work of the Society is awakening vocations in Eastern Europe. Seven seminarians are presently studying in the seminary of Zaitzkofen near Regensburg. A Polish seminarian will be formed in the seminary of Ecône in Switzerland. Editor: The other day, we got wind that the White House had lied to Mexican representatives about what the Vatican thought of their resolution. The Obama Administration lied about something. Anyhow, it's not too surprising. There are really messed up countries who signed this. What a lot of spilt ink for a population that comprises two or three percent of the population at best. Notice some of the exceptions, though, Russia didn't sign. Go Putin. Ireland signed? That's ridiculous. All we can say now is, go Putin, go Medvev. Bulgaria signing this would be sort of understandable, but Ireland? Moscow, March 3, Interfax - Patriarch Kirill of Moscow and All Russia urged to modernize Russia basing on moral principles and historical experience. "True modernization always bases on modern principles... Modernization without moral dimension turns to unrestrained pursuit of temporary goods and pleasures, heartless technocracy, results in perverted relations between people," the Patriarch said on Thursday at a ceremonial session dedicated to 150 anniversary of serfdom cancellation in Russia at the Cathedral of Christ the Savior in Moscow. According to him, a lesson of the 19th century reforms is that even most sensible and logical reforms "didn't resonate with ordinary people if they were performed impetuously, without looking back to the previous experience and traditions." KURILOVO, Russia — Shoulders back, chest out, the young soldier stands as if on parade in his camouflage fatigues — his boots polished, his rifle at his shoulder, a halo around his head. 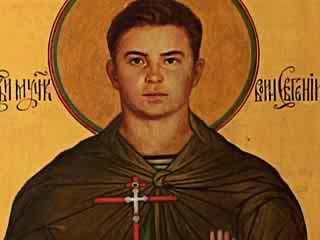 Portraits of this young man, Yevgeny Rodionov, are spreading around Russia — sometimes in uniform, sometimes in a robe, sometimes armed, sometimes holding a cross, but always with his halo. Related article and photo, here... Except he hasn't been canonized by the Orthodox Church yet. The Russian Orthodox Church is attempting to get human rights charges reviewed -- It could not be that the European Supreme Court for Human Rights (EGMR) in Strassburg should prescribe a homosexual demonstration in Moscow. 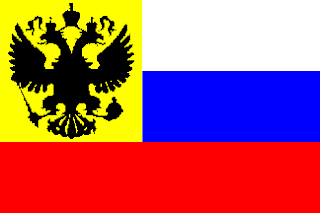 Strassburg/France (kath.net/APD) The Russian Orthodox Church has called on the Russian Executive to cooperate in reconsidering a human rights charge. The call clearly mirrored the December edition of "Orthodoxy Today" over which the anger of the Moscow Patiarchate was against that of the European Supreme Court for Human Rights in Straussburg which called for the alowance of the "Gay Parade". It could not be that the EGMR Russia would prescribe a homosexual demonstration, explained the representative of the Moscow Patriarchate in Strassburg, Igumen Filaret (Bulekov)..
For a year long the Moscow city authorities had refused to allow a "Gay Parade" in the Russian capital. While the organizers came before a Russian court with their complaint, the European Supreme Court gave way to it. The Court ruled on 21. Oktober that the Moscow City authority's ban against the homosexuals contravened three fundamental rights: the right to assemble -- and association, the right to effective representation as well as the prohibition against discimination. While the Russian homosexual movement considered this ruling as a victory, the Russian Orthodox Church criticized the judgment. Such decisions are not only unsuccessful attempts to create social peace and to strengthen personal liberties, they promote even newer tensions as well, explained the 33 year old Igumen, who has represented his church since 2004 fat the European Council and also the Pastor of the All Holy Church in Strassburg. Thanks again to Kath.net, which enjoys the endorsement of the Holy Father. Moscow, December 2, Interfax - Widow of the world famous Russian writer Alexander Solzhenitsyn is convinced that all books of her husband were Christian. "I think that all books by Alexander Isayevich are books of a Christian writer though he never tells about his faith and doesn't push or pull anyone to it," she said in her interview published by the Foma magazine in December. However, according to Natalya Solzhenitsyna, the writer has never considered religion and faith "compulsory for every person." "He put it straight that a believer can be disgusting and an atheist can be a man of good morals, even a righteous person, ("but nevertheless there is no supreme light for him," he added). But while we are alive no one stands still," Solzhenitsyna explained the writer's position. Origina. article, at Inter-fax here. Moscow, October 27, Interfax - A group of activists from the Moscow district of Tekstilschiki, campaigning against the construction of a mosque in this part of the capital, have said that their protest was officially supported by over 6,500 local residents. "We gathered about 450 sheets with a total of 6,536 signatures. Very soon we will send the signatures to an appeal addressed directly to President Dmitry Medvedev," group coordinator Mikhail Butrimov told a press conference in Moscow on Wednesday. Signatures were collected only among resident of the areas adjacent to the Volzhsky Boulevard where the mosque was to be built, he said. Just off the heals of President Dimitry Medvedev's recent decision to create a new Russian holiday - a public holiday that marks the adoption of Christianity in 988, new Moscow Mayor has ordered the city administration to locate 200 building lots to construct new Orthodox Churches. This is the latest demonstration of the Kremlin's support for an Orthodox Church that has grown increasingly powerful since the fall of Communism. Not wasting anytime, new Moscow Mayor Sergey Sobyanin, in one of his first offical administrative decisions has ordered the city to locate building lots to raise 200 Orthodox Churches throughout the city of Moscow. The initiatives of some Russian parishes that exhibit portraits of the Soviet dictator alongside those of proclaimed saints stirs controversy. Moscow (AsiaNews) - The figure of Stalin continues stir controversy in Russia, where the bloodthirsty dictator has left behind him a confusing tangle of veneration and rejection. 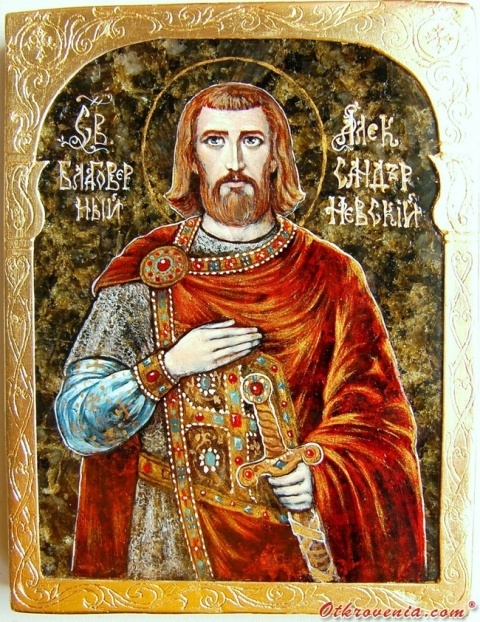 Icons of the Red Tsar are still present throughout the country and rumours that some see him as a saint. The latest in a series of sacred representation of the "little father" has appeared in Moscow in the church of Saint Nicholas (Starovagankovsky lane): the icon depicts the life of Matriona, the blind saint, in an alleged meeting between her and Joseph Stalin. The Soviet dictator is not depicted in a religious manner, but he is placed next to the famous ascetic. An aspect that makes the story even more grotesque, is that Matriona (1885-1952) was forced to live in hiding to avoid arrest by communist regime. According to a legend, which was rejected by the Orthodox Church, Stalin visited Matriona in 1941, who predicted victory over the Nazis. In July of that year he is said to have addressed the nation on radio using the traditional greeting of the Orthodox Church "brothers and sisters". Almost a sign of his change of attitude towards Christianity. A church is a strange place to find Stalin, who, despite his education at a seminary in Georgia, was responsible for a brutal religious repression in the USSR. Moscow, September 28, Interfax - The new artifacts found in the Sverdlovsk Region have confirmed the need for a new investigation into the death of Nicholas II and his family, Alexander Zakatov, the head of the Romanov Family Chancellery, told Interfax. "The new finds indicate that not everything has been investigated yet. For this reason, the investigation should be continued. 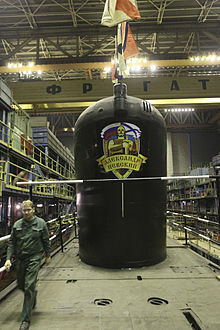 There are still a lot of things that are unclear," Zakatov said. The Romanov family is not ready yet to recognize the authenticity of the remains found near Yekaterinburg. In addition, the Romanov family are demanding the resumption of the investigation into the criminal case involving the killing of Russia's last emperor. The Investigations Committee of the Russian Prosecutor General's Office decided to close the investigation on January 15, 2009. On Monday, it was reported that beakers believed to have been used to store acid to destroy the royal family's remains had been found in the Sverdlovsk Region. Moscow, September 24, Interfax - Yulia Sysoyeva, widow of Priest Daniil Sysoyev killed in November 2009, wrote a novel about radical Islamists involved in terrorist attacks. According to the author, the book focused on complicated spiritual searches of the main heroine. She is a young girl and falls in love with a man who turns out to be a terrorist and takes her to the training camp of the so-called "Shahids". "The book was approved by the Moscow Patriarchate Publishing Council and will soon be published," Sysoyeva told an Interfax-Religion correspondent. It is not the first writing experience for Yulia. Her book "Notes of Priest's Wife" was issued several times. Moscow (AsiaNews/F18) – Alexander Kalistratov, chairman of the Gorno-altaisk chapter of the Jehovah’s Witnesses, was convicted for possession of “extremist” literature, and given a two-year prison sentence. The sentence is final, and Kalistratov’s only recourse is the European Court of Human Rights (ECHR) where his lawyer filed on appeal arguing that his conviction was religiously motivated. The original charges were laid after it was determined that he possessed copies of Jehovah’s Witnesses publications like Watchtower and Awake, whose opinions, according to the court, were “extremist” even if solely religious in nature. For this reason, local experts told the Forum 18 news agency that the court convicted him for his religious beliefs. For Attorney Viktor Zhenkov, it is surprising that it took the court just three working days to rule on the matter even if the case includes 13 volumes of evidence.